Kitchen is probably the place in our homes that we like to visit often. Ladies, especially housewives spend more than half of their days in there. You can certainly make your mom or your wife happy by renovating the kitchen for them. Kitchen renovation also increases the resale value of your homes. When it comes to kitchen improvements you will need to take care of furniture, cabinets, lightnings, flooring. If planned properly, you could use your kitchen for several years. However, you will need to maintain it well and keep it clean. Remodeling might be considered a one of the complex and intensive projects. Before starting on a kitchen remodeling job, you will need to first consider some important aspects that are attached to it. Some of them are beudgeting, planning, purchasing furniture and fittings, and execution of whole process. You will need to calculate the material costs and labor costs, for estimating the total remodeling expenses. There might be a few variations in estimated costs as the project progresses. You could visit home improvement websites for suggestions on kitchen remodeling. Most of the reliable contractors offer their services from their websites too. Check out their work samples. Before following their advices, look out for customer testimonials on their website, and try to find if their customers are satisfied. If you are planning to change the look of your kitchen, think for the styles that suites you. For example, you could choose warm or traditional tones for your kitchen. On the other hand, you could go for modern sleep designs. Home improvement companies usually offer a lot of styles for you to choose from. You could also have them customized according your likes and tastes. You could also compare prices on the net and look for good deals. You could ask the experts to combine different styles and develop a masterpiece. Bring variations in textures of appliances. Prints make kitchens look more homey, nice and warm. 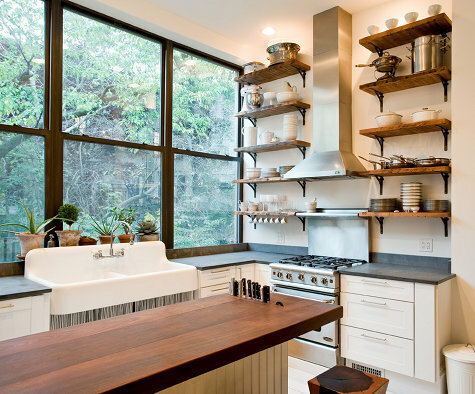 You could also choose certain natural, stone, and wooden furniture to make your kitchen more appealing. 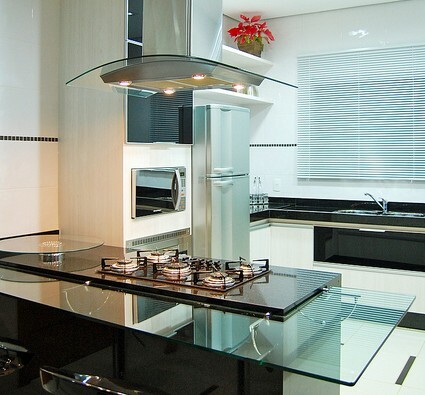 On the other hand, you could use reflecting surface materials like steel to add modern vibes to your kitchens. Kitchen improvement is definitely not limited to adding nice appliances and gadgets. It is much more beyond that. You could add some aesthetic decorations in your kitchens. You could install a television or other decoration items like flower vases or candles. Lighting is generally ignored by the people during renovations. You could use different lightnings to distinguish your kitchen from other home areas. When it comes to lighting, you get innumerable options to choose from. However, it is also a good idea to compliment them with natural lighting during the day. Cooking requires different types of kitchen appliances for various purposes. Some of them are cooking range, microwave, and a fridge. You could upgrade these systems with new energy efficient systems. Choose the correct appliances according to your needs. If you liked this post on kitchen remodeling, then you might want to check out for more posts written by Jolie. He also writes a lot on shower enclosure and cloakroom ideas. Photo Credit: ooh_food and favaro JR..